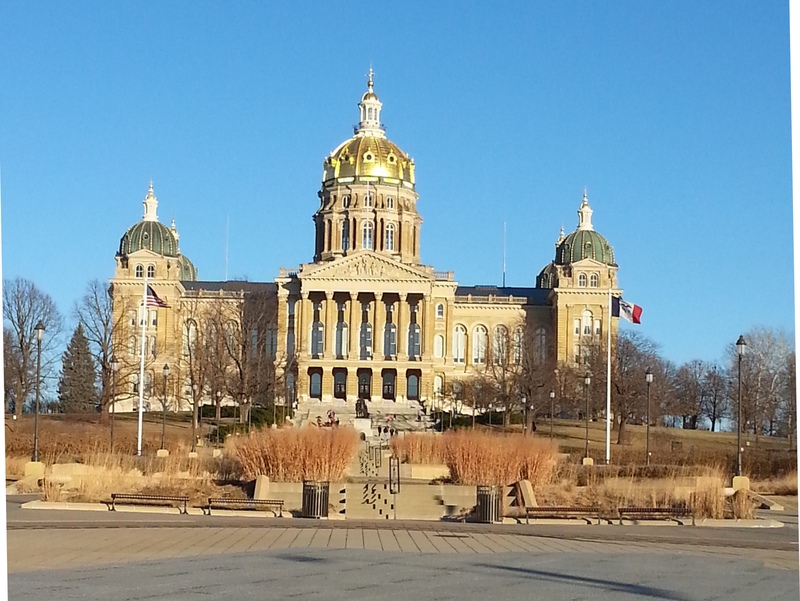 As the Iowa Legislative Session is beginning for the year, its seems appropriate to highlight our beautiful State Capitol Building. Did you know that Iowa's State Capitol was originally in Iowa City, and then moved to the middle of the state in Des Moines in 1857? It's true! The Capitol building was completed in 1886 and is the only five-domed capitol in the country, the main dome plated with 23-carat gold. Many renovations have taken place of the years, of course, but the structure itself has not been modified and remains in the Renaissance style. If you have never taken a tour of our Capitol building, I encourage you do do so. It is a gorgeous building with interesting things going on inside daily as well!